THE Coffs Coast's emerging film industry is fostering a culture of collaboration that's centred around the hugely popular Screenwave International film Festival. 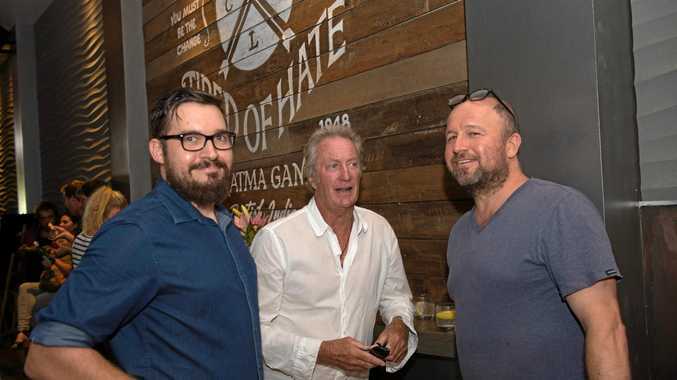 Veterans of the Australian film industry actors Bryan Brown and Rachel Ward, television presenter George Negus and award winning filmmaker Margot Nash this week attended an Industry Connect where the opportunities for local filmmakers were discussed. "We are hoping the event brings outcomes, greater collaboration amongst local filmmakers while creating the conversation that there are resources available to help develop locally made films," SWIFF Director Dave Horsley said. "Industry Connect was a great opportunity for the local film industry to get together and say g'day as many local filmmakers didn't know each other. "We are hoping there will now be the opportunity for an ongoing conversation and that's when the good stuff happens. Film funding and development opportunities were discussed by Screen NSW's Andrea Ulbrick, Film Ink's Dov Kornits, Screen Works Ken Crouch and Arts Mid North Coast Director Kevin Williams. Of particular local appeal is a program called Seed that offers funding to regional filmmakers who have never had a film credit. The Industry Connect event adds to the success of the Screenwave International Film Festival, which continues with screenings and events at Jetty Memorial Theatre and Bellingen's Memorial Hall until the end of the month. "This year the film festival has eclipsed our past attendance numbers with 72 film sessions screened - that's 30% bigger than the previous year so it's been great to see audiences coming to multiple sessions," Dave said. "There's a bit of a social scene happening with people getting together and having a chat about all these different types of films. "We really want to foster that and hope that SWIFF becomes a large part of the Coffs Coast identity,"
This week the Coffs Coast Film and Screen Industry started a Facebook page and is welcoming members.